Afraid that advocating for your child at school means fighting for rights and ending up in tears? 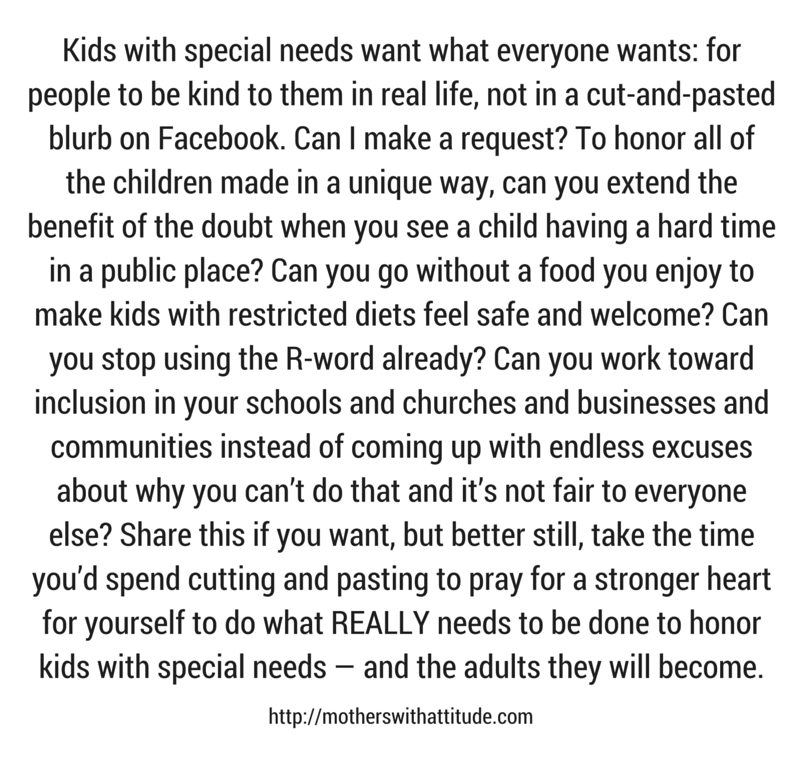 There are easier ways, and I've outlined them in my book 50 Ways to Support Your Child's Special Education. Looking for practical, proactive, parent-friendly information about sensory integration disorder, with good strategies for home and school? My book The Everything Parent's Guide to Sensory Integration Disorder (and an updated version, The Everything Parent's Guide to Sensory Processing Disorder) explains it all without putting you in information overload. Wondering if inclusion can ever actually work? Read my friend and co-podcaster Nicole Eredics's book Inclusion in Action, filled with strategies for real live classroom inclusion, and then pass it on to your child's clueless school.